here are some more delights from Christie's sale on 13th October 2010. 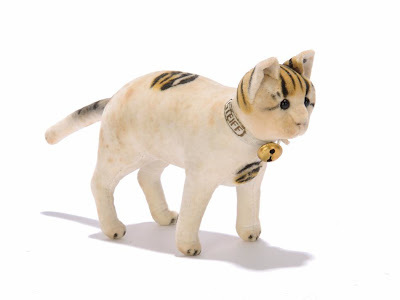 This is a beautiful standing velvet cat from around 1908, look at his original ribbon stamped Steiff.. there must been 15 similar velvet cats in the sale!! 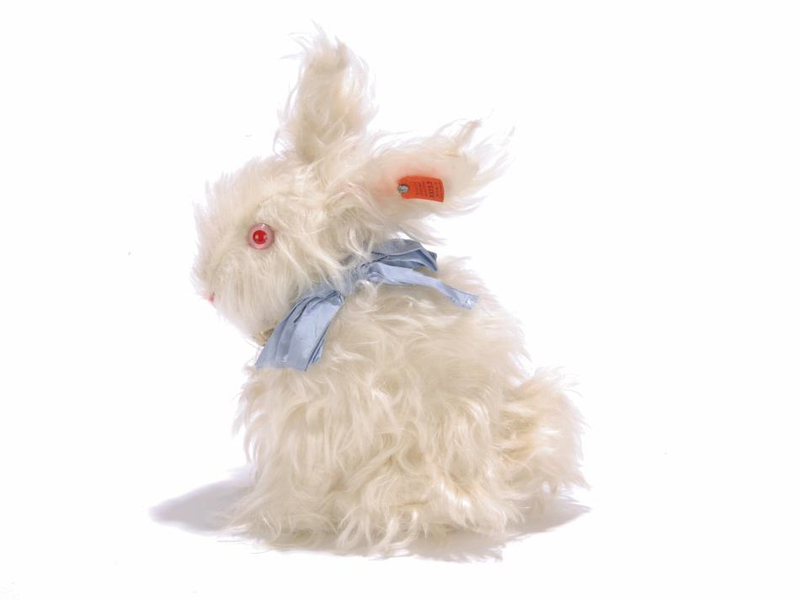 Here is the maddest white rabbit you have ever seen. This has a Muster button, so was made as a sample. 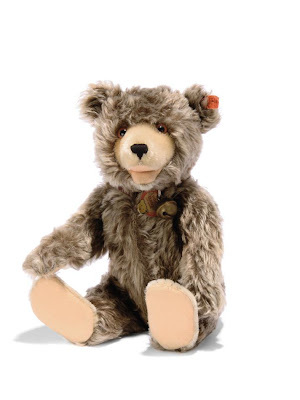 He is in perfect condition and has Steiff button and complete red cloth tag. From the late 1920s, he is completely amazing. Look at this great Teddy Baby.. don't you just love his frosted mohair. 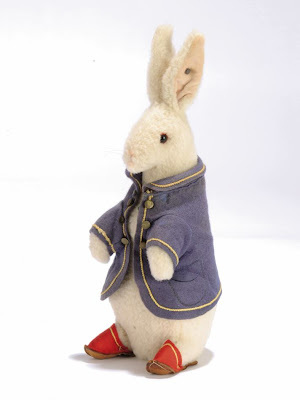 This is a great Peter Rabbit, sold originally at one of the Steiff Festival Auctions. He has a blank button and is amazing condition. 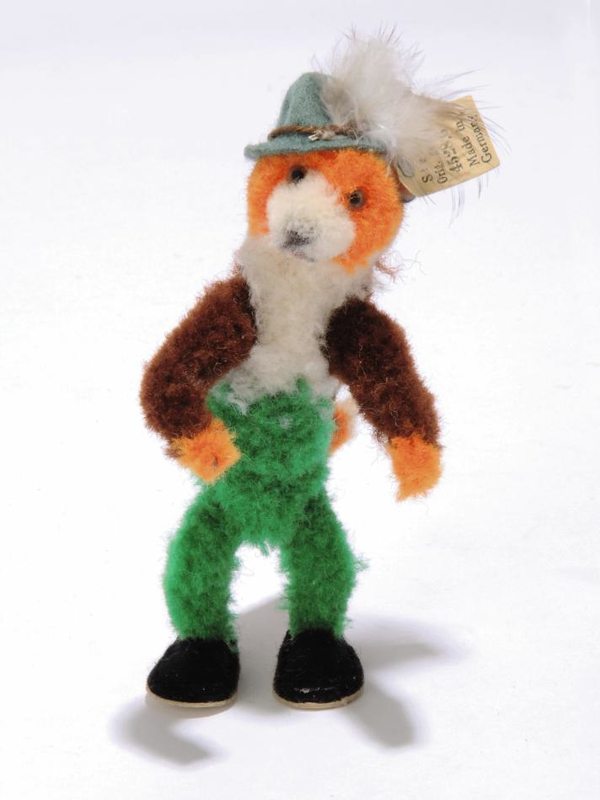 One of a large selection of Steiff woollen animals, this hunting fox is very rare and comes complete with button and cream paper tag. 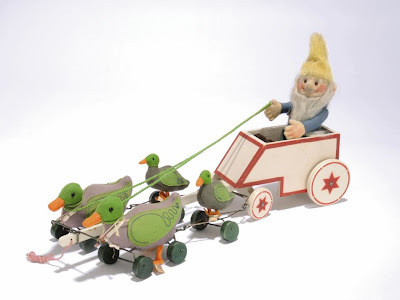 One of my favourite items in the sale, a duck cart with Puck driver..
And finally something not so rare, but very beautiful. A Steiff blonde Teddy Bear, what a darling! Christie's are only printing a limited number of this catalogue. It will be an amazing record, 641 lots all illustrated in colour. Virtually everything Steiff made. I would strongly recommend ordering one soon. 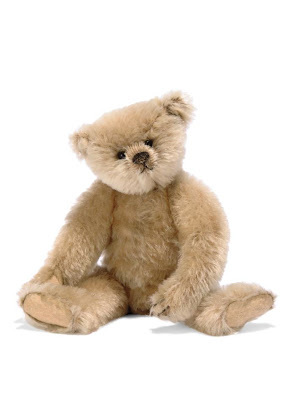 To order use the details below..
Teddy Bears - A private collection sale number 5035.